Note: This is a feature often asked for in InfoSWMM and SWMM5. Pumps are links in the SWMM5 engine. The dialog box for system head curve is shown below. 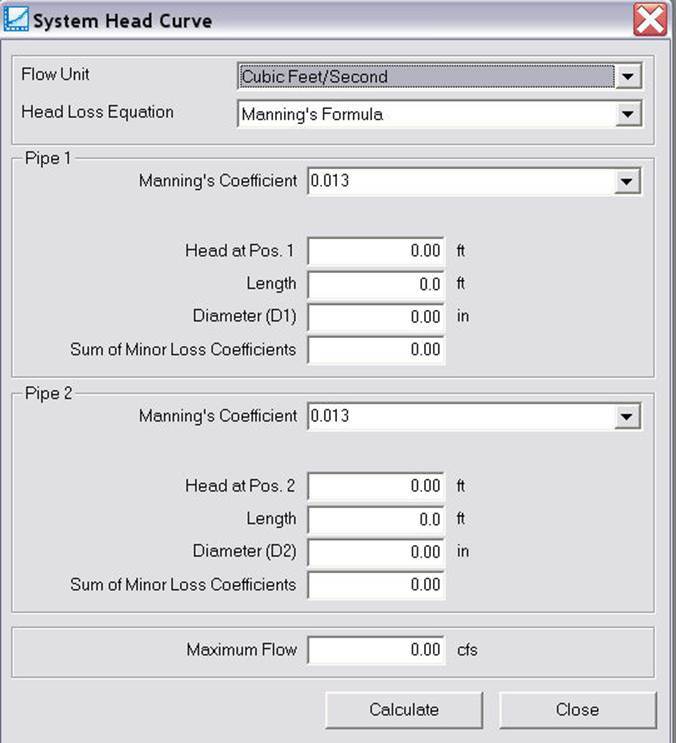 Click here for the methodology of system head curve. 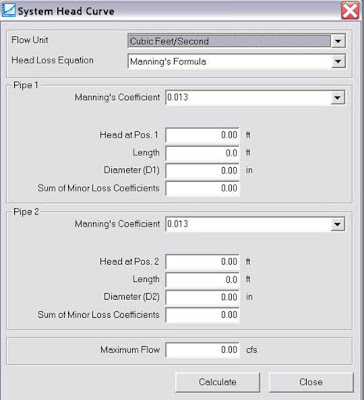 • Flow Unit – Select the desired flow unit. • Head Loss Equation – Select from Manning, Darcy-Weisbach (Colebrook-White), or Hazen–Williams formula. • Pipe 1 – The pipe that connects the upstream reservoir with the pump (i.e., pipe on the suction side of the pump). 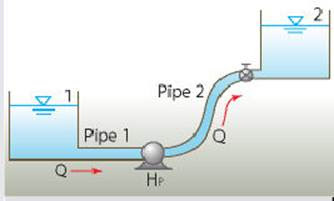 • Pipe 2 – The pipe that connects the pump with the downstream reservoir (i.e., pipe on the discharge side of the pump). • Coefficient – Roughness coefficient. • Head at Position 1 – Head at the upstream reservoir. • Head at Position 2 – Head at the downstream reservoir. • Length – Length of the pipe (i.e., pipe 1 or pipe 2). 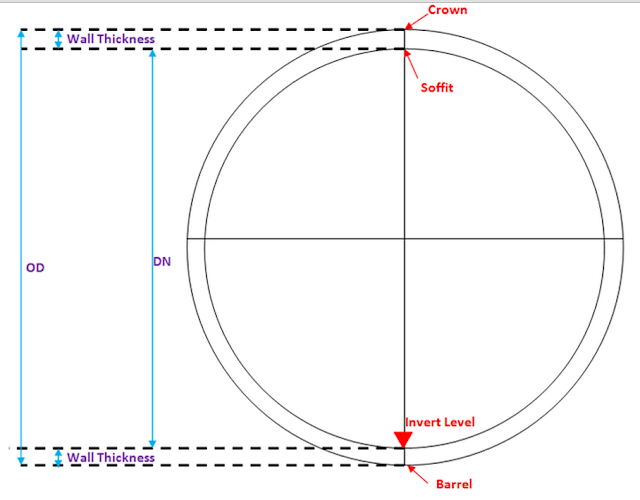 • Diameter – Diameter of the pipe (i.e., pipe 1 or pipe 2). • Sum of Minor Loss Coefficients – Sum of minor loss coefficients for the pipe (i.e., pipe 1 or pipe 2). • Maximum Flow – Maximum flow for use in constructing the system head curve. The maximum flow is divided into ten equal intervals and the head corresponding to each of the ten flows is computed to construct the system head curve. Therefore, it is advisable to use a maximum flow that is divisible by ten. • Graphical System Curve – Presents the system head curve graphically. • Tabular System Curve – Presents the system head curve in tabular form.